The Leadership Institute is a 12 month leadership development and educational process in an executive level environment emphasizing communications and group project based skills. Attendance to meetings of the institute is mandatory and participation in the projects is required. For successful completion of the Institute, the participants will be expected to take part in an assigned group project and an approved individual project. Repository of previous projects are posted here. 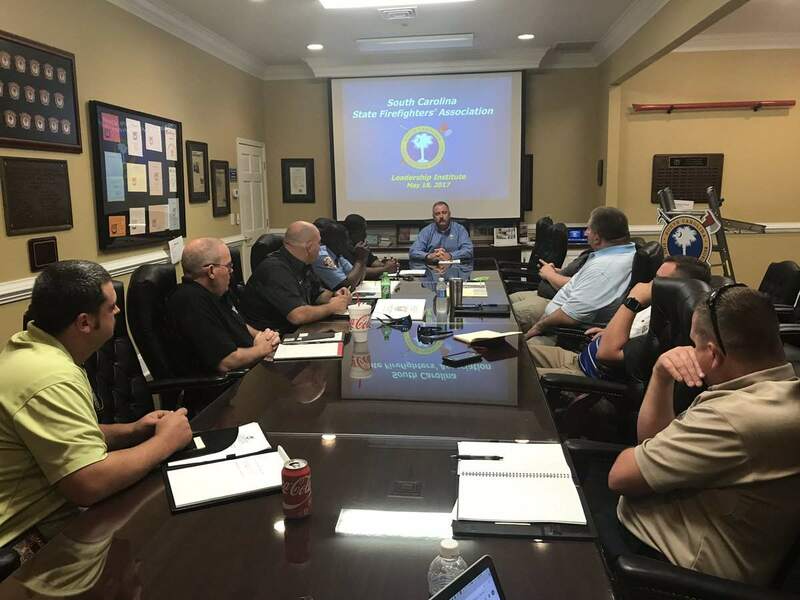 The S.C. State Firefighters’ Association’s Leadership Institute is offered to individuals to improve and develop fire service leadership at the state level through networking and education pertaining to the many facets of the fire service profession. The application period for this program is open from January to August 31st. Selections will be made in September/October with notification by December 13. 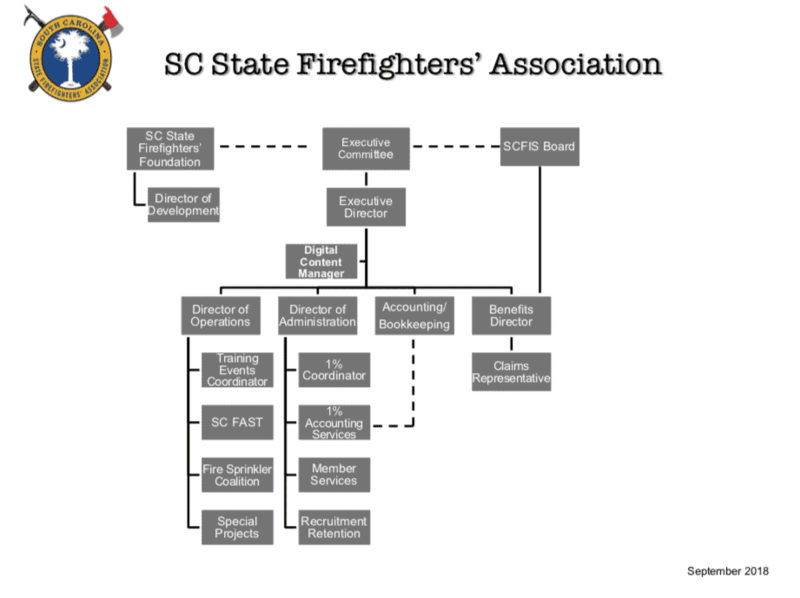 Participation is not based on the criteria of rank or pay status but instead on the individual’s potential to impact future guidance for the Firefighters’ Association and South Carolina Fire Service. Funding for the Leadership Institute is provided by the Firefighters’ Association and by donations from private entities such as the Pierce Corporation. This funding is designed to minimize the financial impact to participants through housing and meal provision. From this program the participants are expected to receive a working knowledge of the numerous and varied aspects of the intricacies of the fire service within the State of South Carolina outside of their previous background and experience through exposure to current events and a variety of department experiences from around the state. The program will not be a traditional classroom environment. The participants are expected to bring information as much as receive from the presentations. The Institute will facilitate thought, but the participant will gleam as they participate and offer thoughts, thus fostering the networking and communications portion of the programs. Problem solving will be best fostered in the Institute by group participation and effort. 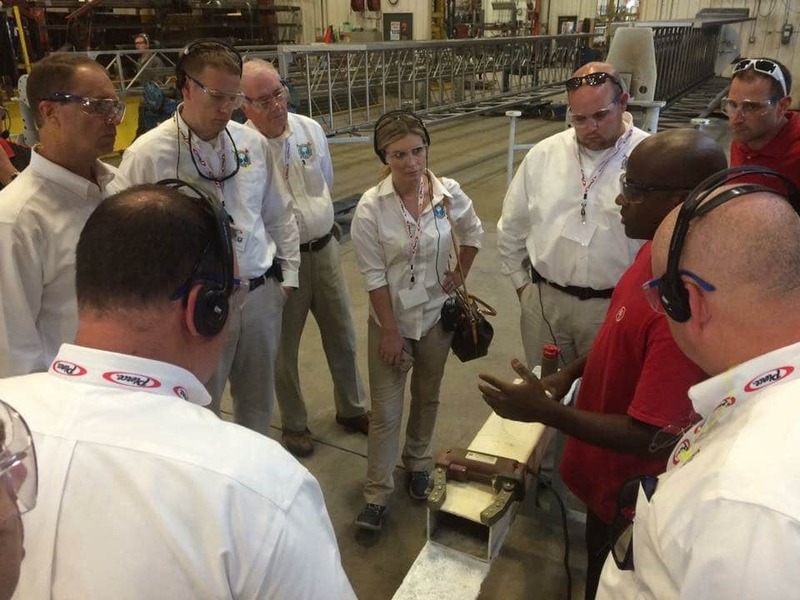 Institute meetings are held monthly at various location around the state and include two weekend retreats.